VICTORIA, B.C. 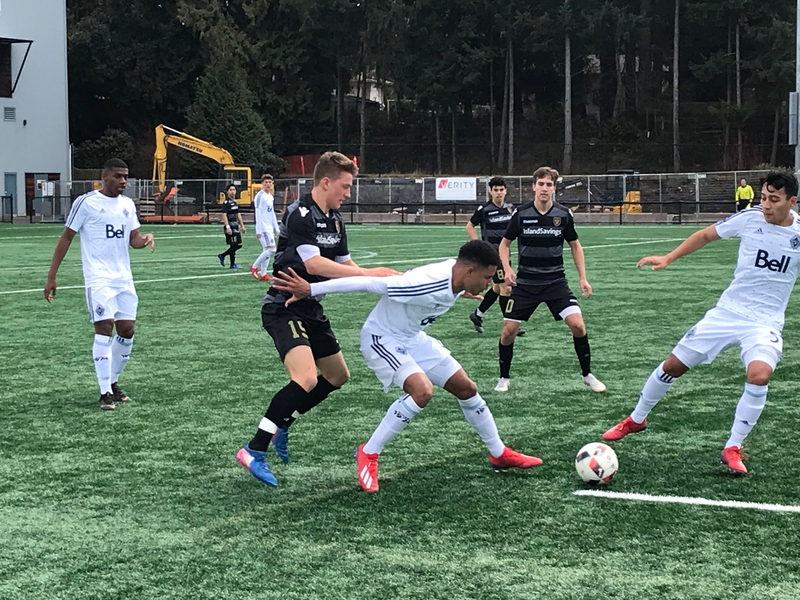 – In a tightly contested Tuesday matchup at Westhills Stadium, the Victoria Highlanders U19 Futures converted a late goal to earn a 1-0 win over the visiting Vancouver Whitecaps U23 squad. The early stages of the match saw the visiting team generate a few scoring chances, including a Whitecaps’ corner that forced U19 Futures goalie Sash Grewal to make a point blank save to keep the game scoreless. As the first-half progressed, quick transition plays from both teams were initially pushed back by tight defensive plays by each team’s defensive back end. As the second-half got underway, the field started to open as quick passing in the midfield resulted in both squads trading scoring opportunities. Defensive positioning was the name of the game as a couple of Higlanders’ free kicks and a pair of promising rushes up the field for the Whitecaps were turned away by strong play in the box. Two of the youngest players on the field, both 2002-born, led the late offensive attack for the Highlanders squad. Goteh Ntignee who had been showing his speed the majority of the game was able to get behind his defender and patiently thread the ball over to Noah Lechelt who made no mistake converting the goal past the outstretched goalkeeper to give the home side the lead. The dying moments of the match saw the U23s press hard for the equalizer, including a shot that rang off the left post, but the U19 Futures were able to hold on for the win.